Diamonds are among the most beautiful natural creations. Reflecting light from its edges, it is no wonder that they have been called founts of light and stars of hope. The most precious among stones, the price of a diamond depends on a number of other factors like the number of reflecting edges, color, clarity, weight and historical and cultural significance. The rich and powerful still race against each other to acquire them, and the costliest of gems have often been the best possessions of kings and gods. 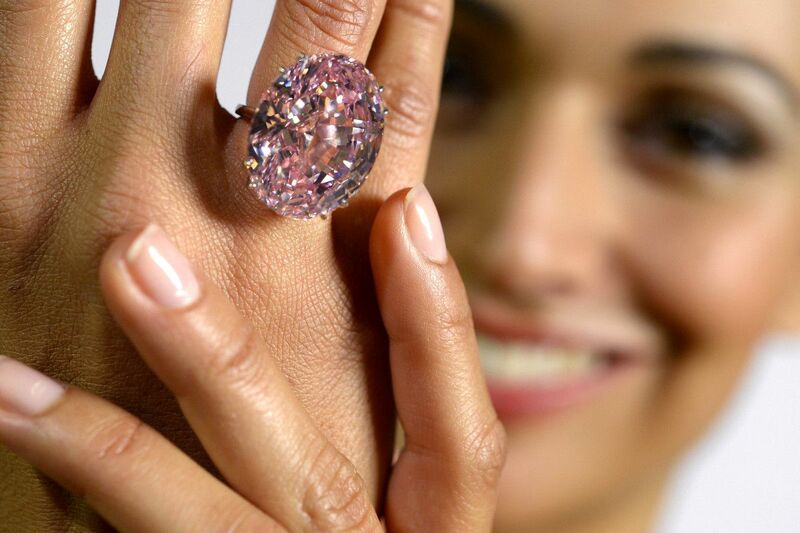 Here is a list of the 10 most expensive diamonds in the world at present. A fancy Vivid Blue diamond, this 27.64 carats gem was cut by the Steinmetz group and sold to the De Beers Group who unveiled it in 2000. The 203.4 carat Millenium Star and the Heart of Eternity were cut from the same 777 carat rough stone. The rarity of this stone lies in many factors, the chief being its perfect blue shade without the presence of the usual black and grey undertones. Also, blue diamonds constitute only 0.1% of the diamonds sourced in Premier Diamond Mine, and very few are of any considerable size. In 2012, it was reported that the boxer Floyd Mayweather bought it for his then-fiancé Shantel Jackson, though De Beers has neither confirmed nor denied the speculations. 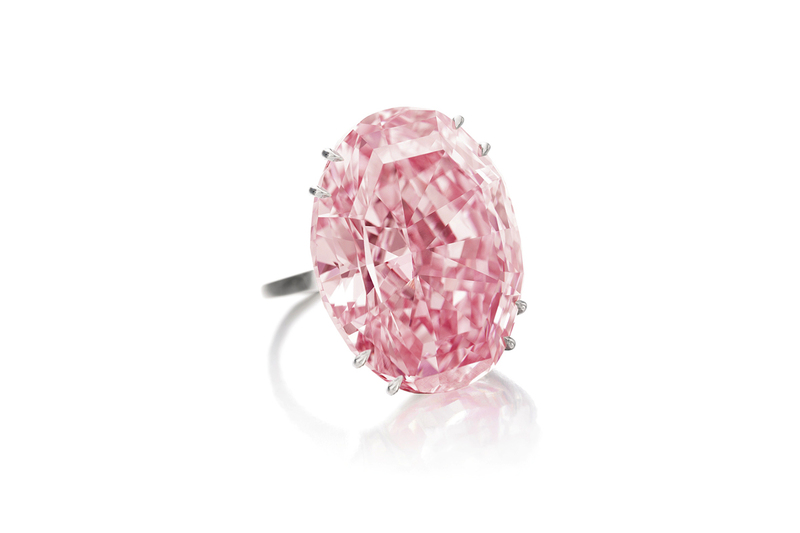 According Christie’s website, in its 244 years history, only 18 pink diamonds over 10 carats have appeared. And none of them had the Fancy Intense Pink shade of the Perfect Pink, which at 14.23 carats, is in ‘a class of its own’. Those having a nearby shade hardly weigh more than 0.2 carats. Not only that, the Perfect Pink has no secondary color in it. Pink diamonds usually have color modifiers like grey, orange or purple. It has a clarity grade of VVS2 (Very Very Slightly Included) due to light internal blemishes which are common in such diamonds. In December 2009, it was sold in Hong Kong for USD 10,776,660 to an anonymous bidder. This is another Indian diamond which was a favorite among royals for centuries. It is the only Indian diamond in this list to be blue in color. The original diamond was known as the Der Blaue Wittelsbacher and weighed 35.56 carat. It was fancy deep grayish blue in color with VS2 clarity. It was discovered in the mid 1600s and had been part of both the Austrian and the Bavarian Crown jewels. Its last public appearance was in 1921 during the funeral of Ludwig III of Bavaria. It went out of the possession of the Wittelsbachs in 1951 following the Great Depression and was acquired by the jeweler Lawrence Graff in 2008. At that time it was the costliest diamond to have been sold. Graff cut it by over 4.45 carats amidst much criticism. Apparently, it was a business-driven move, after which the diamond has acquired an F1 status following the cut. The color is the more desirable ‘fancy deep blue’. Its present owner is Hamad bin Khalifa, the former emir of Qatar, who bought it for at least $80 million in June 2011. When it was bought by Harry Winston, Inc. (of The Swatch Group) from its anonymous previous owner for $23.8 million at Christie’s Geneva Magnificent Jewels sale, it was largest flawless vivid blue diamond. 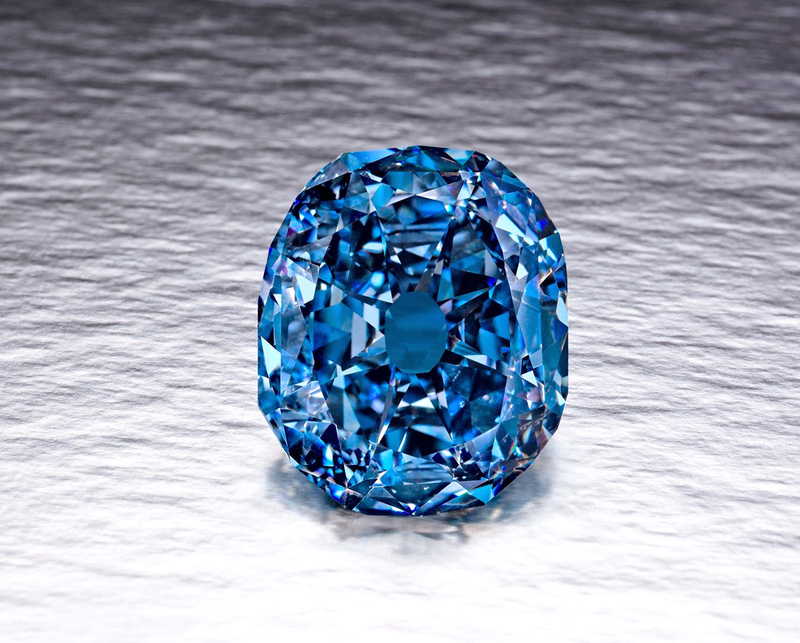 At 13.22 carat the $1.8003 million per carat was the highest for any blue diamond. It was known as just ‘The Blue’ during the auction, which was changed to the Winston Blue by Nayla Hayek, the CEO of the Harry Winston Inc. It is a type IIb diamond as certified by the Gemological Institute of America. On its either side is a pear-shaped diamond, weighing 1.00 and 0.96 carat respectively. This is one of the most flawless diamonds to have been sold by Christie’s, absolutely pure both internally and externally. Now known as the Pink Star, it weighs 59.60 carat and is rated Fancy Vivid Pink in color by the Geological Institute of America. It is the largest known diamond with this rating. Mined in the prodigal De Beers mines in 1999, it is a millennial. 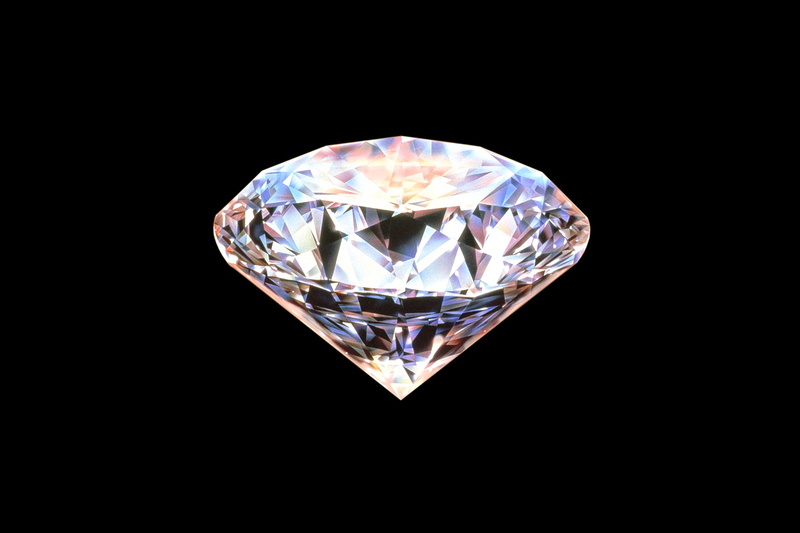 Because of its exceptionality, Steinmetz Diamonds belonging to the Benny Steinmetz group took 20 whole months to cut it. It publicly debuted in Monaco on 29 May 2003. It was bought in an Sotheby’s auction on 3 April 2017 by Chow Tai Fook Enterprises in Hong Kong for USD 71.2 millions. At 273.85 carats, the De Beers Centenary diamond is the third largest from the Premier Mine, the same one that produced the Cullinan Diamond. The original was an astounding 599 carats, though. Flawless both internally and externally, it has the highest Grade D color rating by the Gemological Institute of America. It got its name after being presented in its original form for the Centennial Celebration of De Beers Consolidated Mines on May 11, 1988. It was unveiled in its present glory in May 1991 in its modified heart shaped brilliant cut. Apparently, De Beers no longer owns it, though it refuses to comment on its present whereabouts citing privacy policies. With a name like that, you would be surprised to know that there is a legend of it carrying a curse. Nothing surprising, as it has wrecked most of its previous owners. It is not simply blue in color due to the presence of boron atoms in it but turns red under ultraviolet light due to the phosphorus content. This 45.52 carats diamond was discovered in the Kollur mines of Andhra Pradesh in India in the 1600s, and got its name from the Hope banking family in London who acquired it sometime in 1839. Since 1653, when possessed by the French merchant Tavernier, Wikipedia lists a total of 22 owners before it was acquired by the Smithsonian Museum in 1958, where it remains on display to this date. It has an insurance worth $250 million. It is another of the jewels to have been stolen during the French revolution in 1792. When it was discovered in the Premier No. 2 mine in Cullinan in South Africa, it was the largest gem-quality rough diamond to have been found. Then weighing 3,106.75 carats (621.35 g), it has since gone on to form 9 diamonds, all now a part of the Crown Jewels of the United Kingdom. Cullinan I or Great Star of Africa, at 530.2 carats, continued being the largest diamond till 1985 when the Golden Jubilee of 545.67 carats from the same mine dethroned it. However, it is still the largest clear cut diamond. Now it rests on top of the Sovereign’s Sceptre with Cross. Cullinan II or the Second Star of Africa has 66 facets and is set in the front of the Imperial State Crown, below the Black Prince’s Ruby and the Kohinoor. Cullinans III and IV, both known as the Lesser Star of Africa, and Cullinans V, VI and VIII are all parts of brooches. Cullinan VII is a pendant in the Delhi Durbar necklace, while Cullinan IX is set in the platinum Cullinan IX Ring. Phew! The Sancy is a pale-yellow diamond in the shape of a shield. It is one of the first large diamonds to be cut to symmetrical facets. It is unusual in shape due to the absence of a pavilion, with just a pair of crowns. While according to legend it belonged to the Mughals, the shape suggests that it is of Indian origin, which is logical since till the discovery of the Kimberley and the American mines, most of the diamonds were from Golconda. One of the first diamonds to gain a reputation in Europe, its documentation started in 1570. It has belonged to the likes of Charles the Bold, Duke of Burgundy, Manuel I of Portugal, Nicolas de Harlay, seigneur de Sancy (from whom it got its present name), King James I, King James II, King Charles I, Charles II and Louis XIV of France before disappearing during the French Revolution. After changing many owners and appearing and disappearing frequently, it was finally sold to the Louvre for $1 million by the 4 th Viscount Astor in 1978. Today it resides in the Apollo gallery, having the Regent and the Hortensia among its neighbors. The name itself is enough to get people hooked. Koh-i-Noor means ‘Mountain of Light’ in Persian, and suggests the position this particular stone has occupied since its alleged discovery in the 1300s in the Golconda diamond mines in India. It was the largest diamond in circulation till 1852, when Prince Albert decided to reduce it from 105.6 carats to 86 carats in order to increase its brilliance and sparkle. Much of its mystery is due to allegations that it is a cursed stone, bringing doom to its owner. And actually, till it came to the possession of Britain in 1849, it had brought destruction upon every owner who had ever owned it. The diamond is oval in shape, and now resides in the HM Tower of London. It is a popular tourist attraction, and was last a part of the Queen Mother’s Crown. William Dalrymple and Anita Anand recently co-authored a book attempting to trace the history of the diamond and the legends surrounding it. It must be noted here that none of the prices listed is fixed. Often new diamonds enter circulation, bidders perform breathtaking stunts to outdo each other, price per carat changes, and most importantly, amazing things happen to owners of diamonds which increase their exclusivity. Even reading about them is a fascinating experience which has interested scholars over the ages.